Be sure you are ready to spend a lot of money on gas. I have owned the car for 5 years now. Has not broken down on me. Maintenance is expensive. It is a V8 and eats ups the gas, so that can get pricey. The interior is very upscale. I love my car! Jaguar isn't just for older people, the jag is a pretty fast reliable car! It's a really luxurious car. I love the heated and cooled seats and heated steering wheel! It's a very reliable car and is great on gas! Upkeep is a major issue. Lots of trips to mechanic. It is a beautiful car. Needs lots of upkeep. Great for riding around the city. Gets too hot in the sun at times. 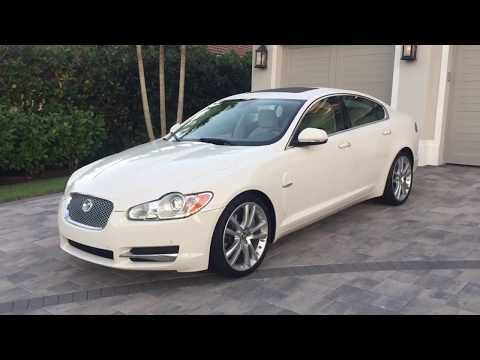 JAGUAR IS RECALLING 34 MODEL YEAR 2010 XF VEHICLES FOR FAILING TO CONFORM TO THE REQUIREMENTS OF FEDERAL MOTOR VEHICLE SAFETY STANDARD NO. 110, TIRE SELECTION AND RIMS. THE RECOMMENDED TIRE PRESSURE ON THE TIRE PLACARD LABEL DOES NOT CORRESPOND WITH THE TIRES FITTED TO THE VEHICLE. DEALERS WILL BE INSTRUCTED TO INSPECT THE TIRE PLACARD LABEL. IF THE RECOMMENDED PRESSURE ON THE TIRE PLACARD LABEL DOES NOT CORRESPOND WITH THE TIRES FITTED TO THE VEHICLE, THAT LABEL WILL BE REMOVED AND REPLACED WITH A LABEL STATING THE CORRECT RECOMMENDED TIRE PRESSURE. THIS SERVICE WILL BE PERFORMED FREE OF CHARGE. THE RECALL IS EXPECTED TO BEGIN ON OR BEFORE AUGUST 17, 2009. OWNERS MAY CONTACT JAGUAR AT 1-800-452-4827. DEALERS WILL HAVE THE FUEL TANK ASSEMBLY REPAIRED FREE OF CHARGE. THE SAFETY RECALL IS EXPECTED TO BEGIN ON OR BEFORE NOVEMBER 30, 2009. OWNERS MAY CONTACT JAGUAR AT 1-800-452-4827.